7th Pay Commission Calculator: The approval of recommendations made under 7th Pay Commission was surely a good news for over 1 crore government employees, after all it planned to improve the lifestyle of government employees significantly. 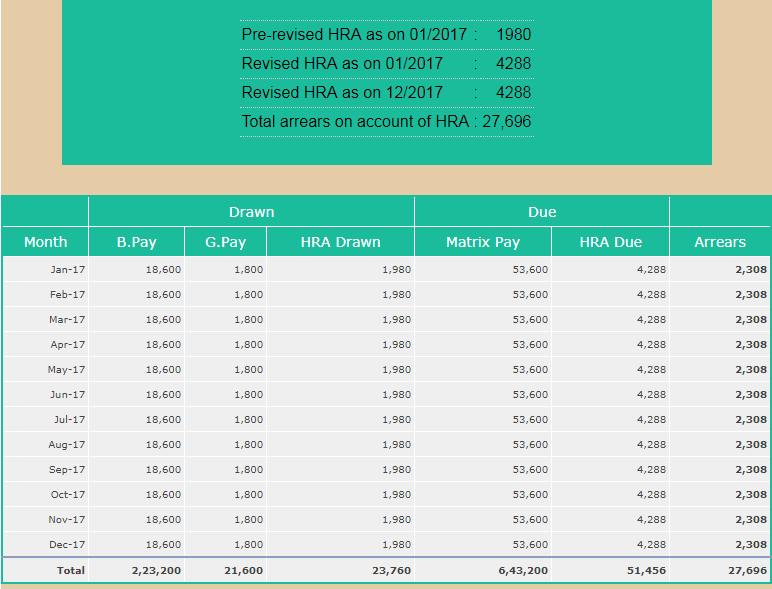 7th pay commission: It is also important to understand how HRA is calculated on 7th pay commission linked basic pay, as it has the major impact on overall salary. 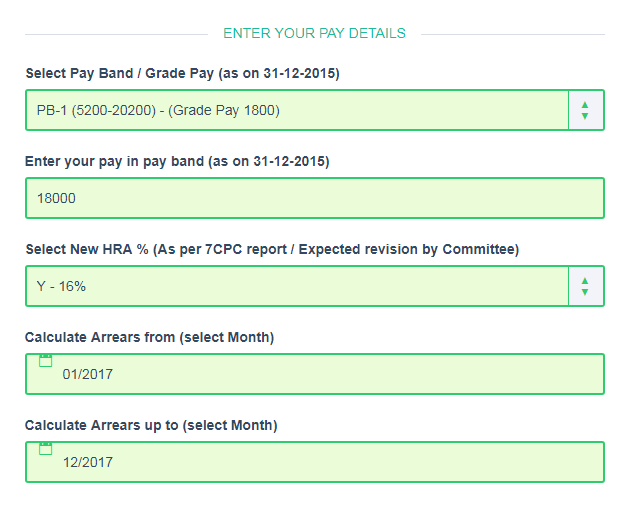 7th Pay Commission Calculator: The approval of recommendations made under 7th Pay Commission was surely a good news for over 1 crore government employees, after all it planned to improve the lifestyle of government employees significantly. Almost every key indicators like basic pay, salary, HRA allowances, and travelling allowances have been modified under new 7th CPC guidelines. However, not everyone was happy over the recommendations made under 7th CPC. While the pay scale for current serving employees saw a maximum increase of 16% in their salaries, interestingly, it was the pensioners that gained the most as their income was hiked by 23.63%. 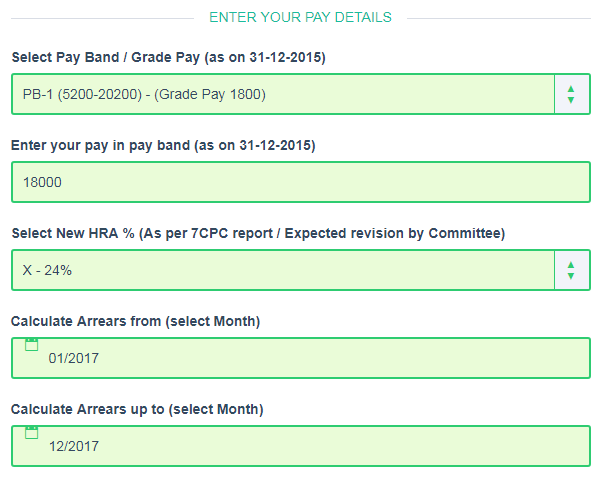 A new 7th pay commission pay matrix was approved, which is very simple and easily comprehensible and also quite transparent. There are some 48 lakh central government employees who are now demanding hike in their pay scale and fitment factor from current levels as they believe the current amount is inadequate in face of rising inflation. These employees are still struggling to find any ray of hope in regards to their issues. Be that as it may, know how much HRA allowances and arrears government employees will receive in a year. 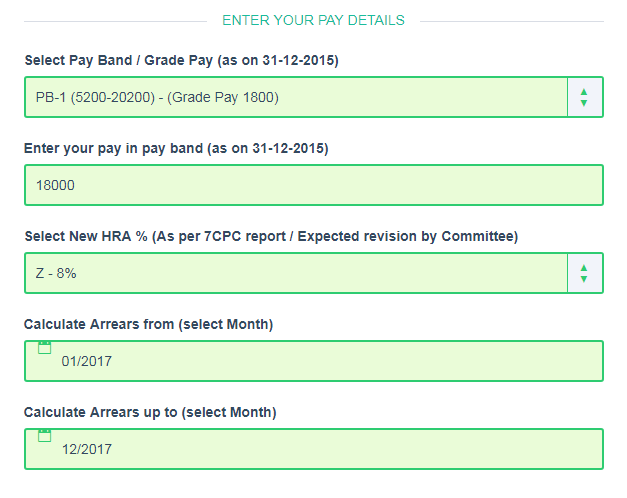 The new pay matrix announced by government is available for all to know how their 7th Pay commission based salaries will be calculated. What is tricky though, is the calculation of HRA allowances and arrears, not many of us are aware how those are taken into consideration. Minimum pay under 7th CPC is recommended at Rs 18,000 per month, whereas maximum pay stands at Rs 2.25 lakh per month. 7th pay commission fitment factor has been levied at 2.57 times uniformly for all government employees. Further, the rate of annual increment is kept at 3%. House rent allowance (HRA) has been fixed at 24%, 16% and 8% for X, Y, Z cities respectively. HRA not to be less than Rs 5400, Rs 3600 and Rs 1800 for X, Y, Z cities. Earlier it was at 30%, 20% and 10% of minimum pay of Rs 18,000. Moreover, 7th CPC recommended revision of HRA when Dearness Allowance reaches 50% and 100%, the government has decided to revise rates when DA crosses 25% and 50% respectively. Now coming to the calculation of arrears and HRA allowances, this what you need to know. Firstly, remember that HRA percentage depends upon the population of the city being reside in currently. So let’s say, the city is Mumbai, which has more than 50 lakh of population currently, then the HRA allowance will be calculated at percentage of 24% on basic pay. Above 50 lakh population comes under X category under 7th CPC. For example, if basic salary is Rs 18,000 per month and falls under pay band of level 1 which has a grade pay of 1800, then the HRA would come to Rs 5,940 every month. 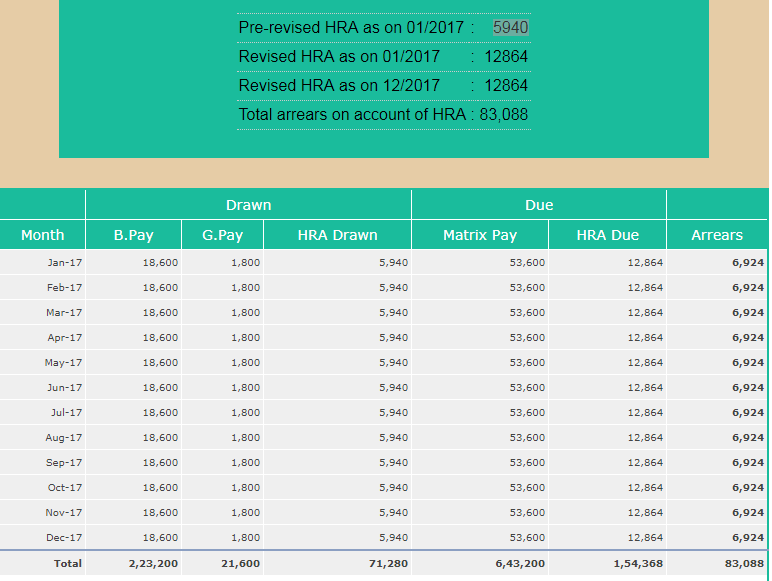 The higher the basic pay, then higher will be the HRA allowance. As for arrears, total arrears on account of HRA would come over Rs 83,000 in a year. Going ahead, in case the city is Chandigarh, which has a population below 12 lakh, then the government employee comes under Y category of HRA allowance. This category calculates HRA of cities where population is between 5 lakh to below 50 lakh and has a percentage rate of 16%. Thereby, if the employee stays in between 5 lakh to below 50 lakh population, and earns Rs 18,000 basic pay under level 1 grade pay of 1800, then HRA at 16% will come around to Rs 3,960 per month on the 7th CPC based salary. Arrears in this case will be lower around Rs 55,000 in a year on account of HRA. Meanwhile, if employee is staying in Udaipur or similar like cities where population is even lower than 5 lakh, then the he will fall under lowest category of HRA allowance. Under 7th CPC, government employees staying in cities below 5 lakh come under Z category of HRA allowance where percentage rate is at 8%. This means, if employee has basic pay of Rs 18,000 per month in level 1 grade pay 1800 category, and are residing in below 5 lakh populated city, then the HRA would come at Rs 1,980 - which would be 8% of your basic salary. With this, total arrears would come even lower at over Rs 27,000 every year. Hence, it is always advisable to have an idea on approximately how much arrears employees get on account of HRA. 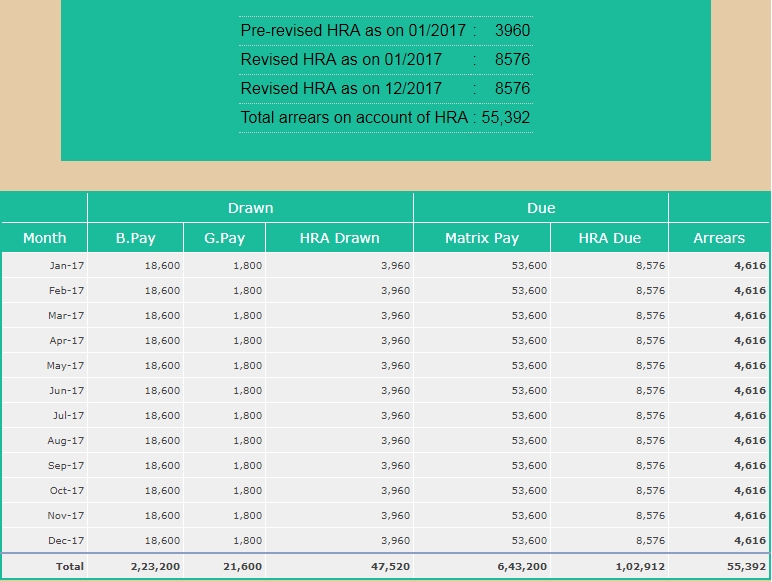 It is also important to understand how HRA is calculated on 7th pay commission linked basic pay, as it has the major impact on overall salary.